Training - IPAF, IOSH, PASMA who is it for and what are the benefits? Over the course of the last two decades the industrial world has seen many changes put in place in a bid to improve health and safety. Not least of these changes has been an increase in the number of required training courses for those who work in potentially dangerous situations. Here we take a look at three core courses, explaining who each is for and what benefits each delivers. This one to one, two day course delivers around 7 hours of theory and practical experience of those working with MEWPS (or Mobile Elevated Work Platforms); such workers may include everyone from tree surgeons to sign fitters. The IPAF (International Powered Access Federation) certification is a Europe wide qualification and provides the practical and safety knowledge for working with plant machinery that includes Scissor lifts, Cherry Pickers, Stock Pickers, Vehicle and Trailer Mounted Booms. With in-excess of 90,000 course attendees each and every year this course proves to be a popular one, with providers offering this course at around £200 + VAT. The benefits of this course are that attendees are given a complete understanding of their current legal obligations when working with such machinery, and they can practice within a safe environment as to how to operate a range of MEWPs. IOSH is a marginally more popular course than the IPAF, with around 100,000 employees being sent to attend each and every year. The course itself covers a wide range of health and safety considerations for use within the workplace, and it can serve as an invaluable addition to an individual’s CV. The IOSH course covers best practices, which provides for a general overview of health and safety that means attendees are from all industries, countries and job levels. As well as the more general aspects of health and safety the IOSH course additionally includes a single session deployed on courses about the importance of environmental management and the best practice that surround it. There are two levels of this course: an introductory course that covers the essentials of health and safety (ideal for employees) and a second, more advanced course that teaches effective health and safety management (more suited to those who actively manage the health and safety of their workplace). The benefits of this course, asides from improving the general standard of health and safety within a commercial environment and driving down the risks of accidents and injuries, is that this qualification is often demanded by those who are tendering contracts for work. The PASMA collection of courses are designed for those who have staff that are involved within the assembly, use, inspection and dismantling of towers (e.g. scaffolding). There are five courses in total, with each addressing a differing topic, with these being: Towers for Users (which is by far the most popular), Towers for Managers, Low Level Access, Combined Towers & Low Level and Work at Height Essentials. Businesses who send their employees upon these courses are incredibly wide and far ranging and through this course they look forward to staff who are fully informed about how to safely use, or intrust others to use towers. 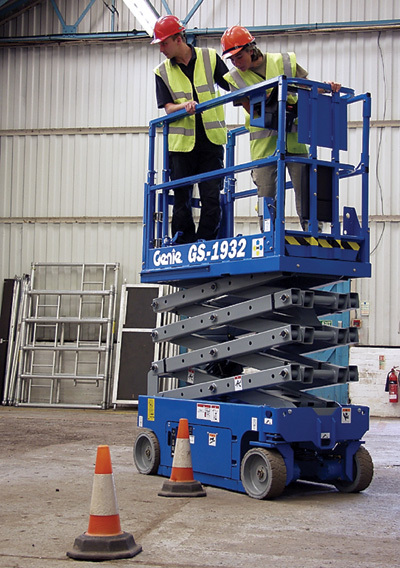 The Towers for Users course alone attracts over 60,000 delegates each and every year, specifically covering: assembling, dismantling, moving and inspecting mobile access towers when using 3T or Advance Guardrail (AGR) systems. Beyond safety improvements this course serves as a legal obligation for those using scaffolding, where legalisation EN1004 (that sets out minimum safety standards of scaffolding) and standard BS 1139-6 must be met. The latter of which is a BSI standard that sets out factors such as design verification, structural design, positional stability and marking and information required for towers in use. Visit our new website dedicated to safety training where you can read about all of our available courses and book your place online.